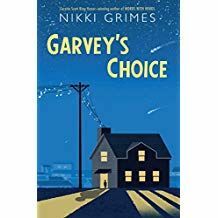 "Garvey's Choice" is the poetic tale of a star-struck young man trying to please his father. Award-winning writer Nikki Grimes answers questions from readers at Alice Deal Middle School in Washington, DC. Actor Haskell V. Anderson III is our celebrity reader. Kitty Felde is host.